Looking to supercharge your dedicated server? Look no further. 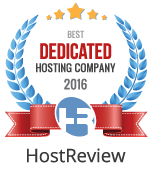 GlowHost offers the amazing LiteSpeed Web Server on our dedicated servers. LiteSpeed Web Server is a high-performance Apache drop-in replacement. LSWS is the 4th most popular web server on the internet and the #1 commercial web server. Upgrading your web server to LiteSpeed Web Server will improve your performance over Apache. LightSpeed can be added to your Cloud VDS or Dedicated servers here at GlowHost. LiteSpeed can be purchased on our Dedicated Order form if you are signing up for new service or by opening a support ticket for existing clients. LiteSpeed Web Server has numerous features to make your server stronger, more powerful and more versatile. LiteSpeed Web Server is compatible with commonly used Apache features, including mod_rewrite, .htaccess, and mod_security. LSWS can load Apache configuration files directly and works as a drop-in replacement for Apache. With its streamlined event-driven architecture, LiteSpeed Web Server can serve thousands of clients concurrently with minimal memory consumption and CPU usage. LSWS’s highly optimized code serves static content faster, taking advantage of high-performance kernel syscalls, while LSAPI maximizes PHP performance. LiteSpeed Web Server is mod_security compatible and has a host of built-in anti-DDoS features, like bandwidth and connection throttling. The LightSpeed team works constantly to address the Internet’s newest security issues — such as SSL BEAST attacks — and release security updates as soon as new attack methods become known. Just How Fast Is LightSpeed? Even while using a tiny memory footprint, LiteSpeed beats out the competition in performance. This benchmark compares the speed at which different web servers deliver small static files using both non-keep-alive and keep-alive connections. – 89% faster than Apache 2.2 with pre-fork MPM. – 167% faster than Apache 2.4 with event MPM. – 15% faster than nginx. – 245% faster than Apache 2.2 with pre-fork MPM. – 533% faster than Apache 2.4 with event MPM. – 67% faster than nginx.